WHAT’S THE BEST TYPE OF CYCLING FOR YOU? Cycling is an amazing way to keep fit, have excellent adventures in your local area and, of course, to have fun! One of the amazing things about this activity is that it is so diverse, with a range of styles to choose from. Are you a mountain biker, road cyclist, BMXer or something else? Choosing the right style could be what motivates you to keep pedalling. At The Insurance Emporium, we love to encourage the pursuit of passion. That’s why we’ve put together these ideas to help you work out which is the best type of cycling for you. Have you ever felt inspired by Tour De France riders? Do you simply like the idea of riding somewhere far and fast? If riding on miles of tarmac to get to new places, or to beat some race competitors, sounds like a lot of fun then road cycling could suit you well. This is a particularly popular form of biking because it’s one of the most accessible types – just as long as you’re near some roads and aren’t afraid of riding in traffic. Within this style, you could go on long distance bike rides, take part in racing or more. As well as being excellent cardiovascular exercise, it’s also great for training in endurance and managing your pacing. If you like the idea of riding on different types of terrain, doing jumps or you just generally enjoy taking in the countryside, you might enjoy mountain biking. It’s a particularly good option if you’re an adrenaline junkie as well! Mountain biking opens up a lot more options for exploring places on two wheels, allowing you to navigate forest paths, tree roots and some gnarly rock drops! You also work out various muscle groups while mountain biking as you shift your body weight and use different limbs to maintain speed and stability. There are also various styles of mountain biking to choose from, including downhill, cross-country and enduro. They all have one thing in common – where you’re going you don’t need roads! BMX gon’ give it to ya! If it’s technical skill and adrenaline that motivates you, and you want to perform some cool stunts, then you may be interested in BMX. 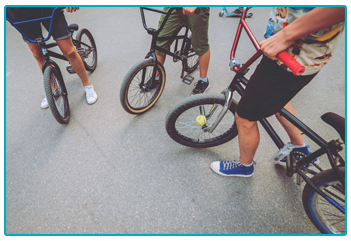 You use short bursts of energy and practice excellent bike handling in the name of getting those tricks down! As a result, BMX is a useful, as well as thrilling, method of burning calories. BMX can be quite accessible if you live in an urbanised area as you could use stairs, rails and kerbs to practice street tricks. Plus, spaces with tarmac or concrete could be useful for practicing flatland tricks. However, those living in rural areas might also want to test their skills on forested tracks and dirt jumps. It’s not just a fair weather pastime. BMX can be great fun on a rainy day, as you could take your bike down to an indoor skate park and hone your craft there. Do you like the sound of both road cycling and mountain biking? Cyclo-cross takes a little bit from both of these styles and adds in running on foot. Over a number of short laps, you’d be riding over varied terrain, hopping over barriers and trying to outpace your competitors. It could be thrilling to take part in cyclo-cross if you want to build your technical skills, burn some calories and work out lots of muscles. Just be ready to get very muddy in the process! You could give cyclo-cross a go by signing up to a race. Sites like British Cycling often list various events across the country, so check it out as there could be cyclo-cross races in your local area! 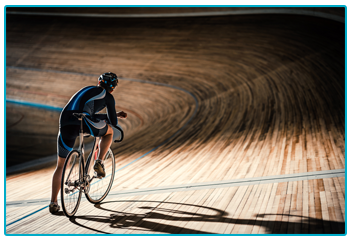 Have you ever found yourself glued to the Olympics or Paralympics during the track cycling events? With the likes of Sir Chris Hoy, Dame Sarah Storey, Laura Trott and Jason Kenny among the names that have taken home gold for Great Britain, it’s easy to see why track cycling is getting more popular in the UK! For those unfamiliar with the sport, it’s where cyclists race around a banked oval track in a centre called a velodrome. This type of biking can see you reaching high speeds and there are no brakes on your cycle. If this sounds like fun and you’ve got strong nerves then you could check out Ribble Cycle’s blog on the UK’s velodromes to see if there is one near you! As you can see, there are plenty of options for people interested in cycling! To help ensure that your biking adventures continue for as long as you like, it could be worth getting insurance. 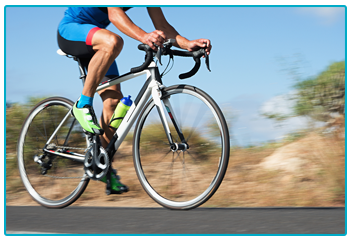 Our bicycle insurance policies include cover for Theft, Accidental Loss Or Damage as standard and you may choose from Elective Benefits such as New For Old and Replacement Hire. There’s also up to 25% discount available on new policies, including a 15% Introductory Discount. If you’re looking to get the wheels in motion on some bike insurance, why not stop by The Insurance Emporium today?